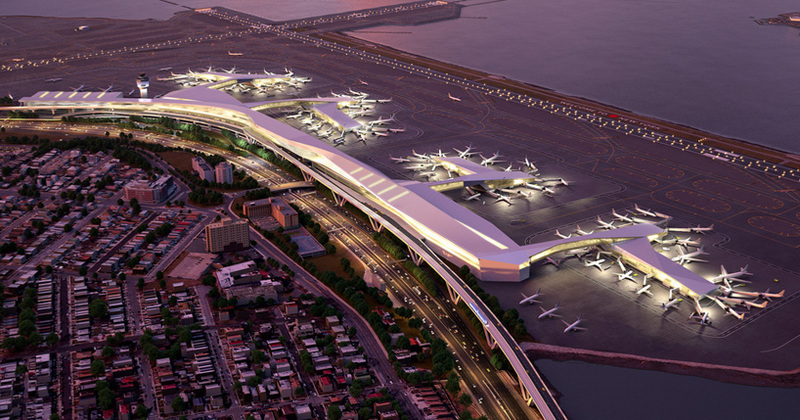 once likened by joe biden as an airport more characteristic of one found in ‘some third world country’ than one of america’s most well known cites, new york’s la guardia international airport has faced well deserved derision for decades. confronted with an untenable status quo and a structure designed for the dawn of the jet era when boeing 707’s and douglas DC-8’s ruled the sky, a completely new structure presented the only viable path forward. 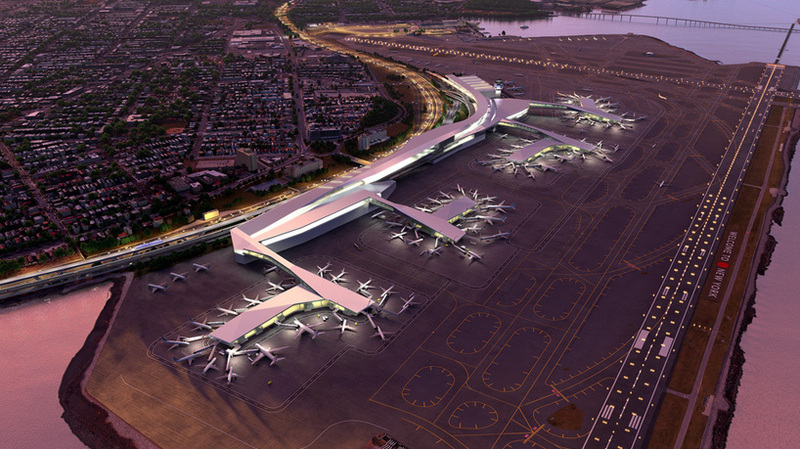 in 2014 new york’s governor cuomo launched the ‘masterplan design competition,’ now the plans and the consortium to build it have finally been unveiled. the final design incorporates elements from each of the competition’s three finalists: dattner architects, SHoP architects and PRESENT architecture. 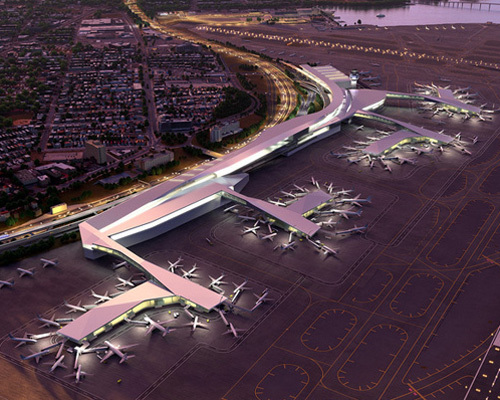 by taking the best of each, the planners intend to deliver the first all new airport of the 21st century in the united states. 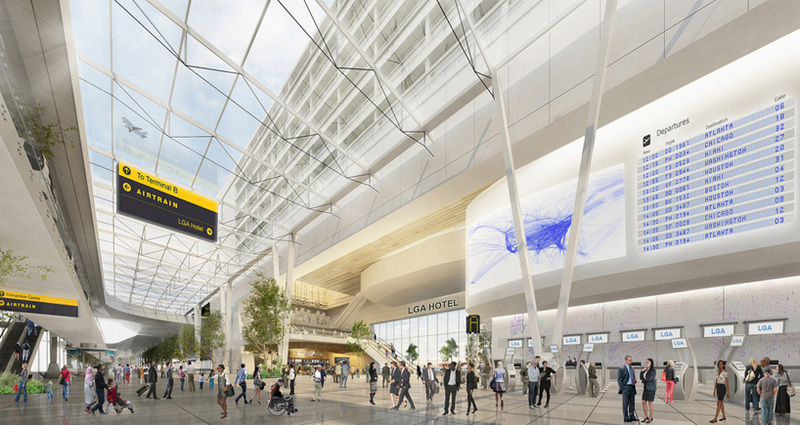 featuring a fully unified main terminal with sky bridges to the satellites, the new configuration will add nearly 2 miles of taxiways, increase passenger waiting areas and offer easy connections to ground transportation. while the all new terminal marks a revolutionary departure from the past structures, the massive investments to improve connections to the city bear particular note. 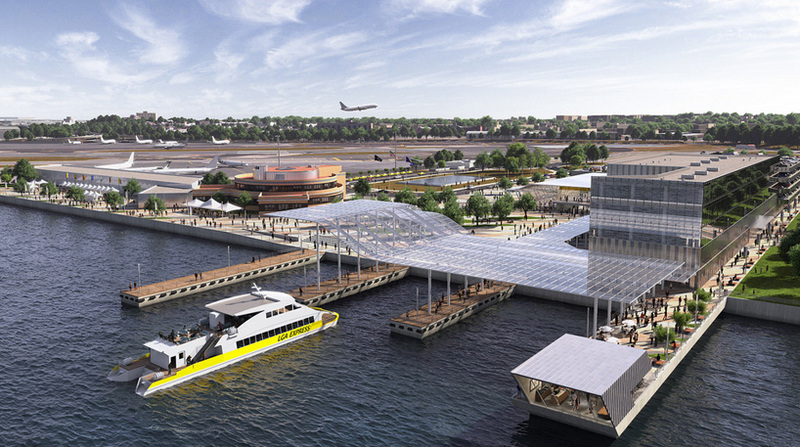 the plan outlines restoring direct express passenger boat service to the the historical la guardia ferry terminal as well as building a new train connection from the willets point station. 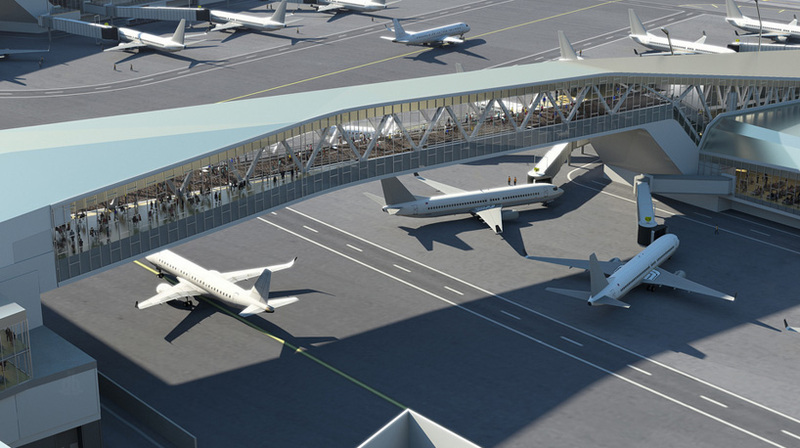 terminal construction is planned to be completed in 18 months while maintaining full operations at the airport. 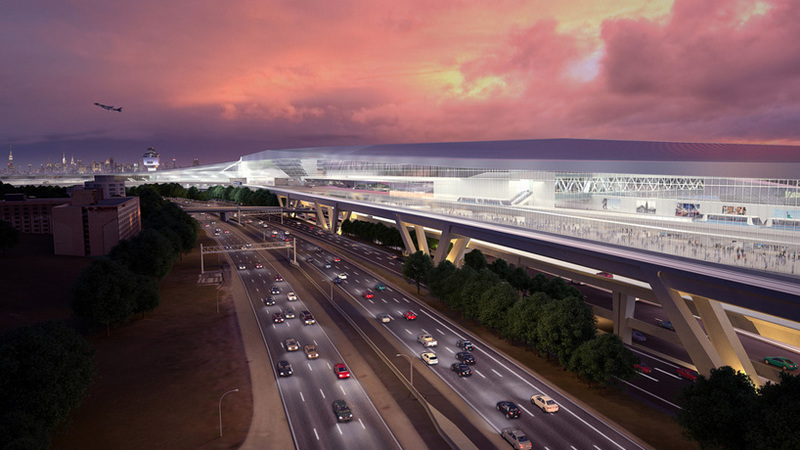 construction will cost an estimated 4 billion dollars with a predicted 2019 completion date. for the 11 million weary travelers who travel through this decrepit structure annually, the stunning replacement cannot come soon enough.